You’ve probably heard the expression “I needed a vacation from my vacation” from others who have taken a Disney World vacation. Well, we admit that Disney vacations can be very busy and sometimes very overwhelming! With four theme parks, two water parks, 34 resorts, 140 restaurants, Disney Springs, and tons more to do, you can run yourself ragged trying to see and do it all. We highly recommend you plan some downtime in your visit, too. Here are seven ways to relax at the Disney World Resorts. These are our favorites in The Jones Family! 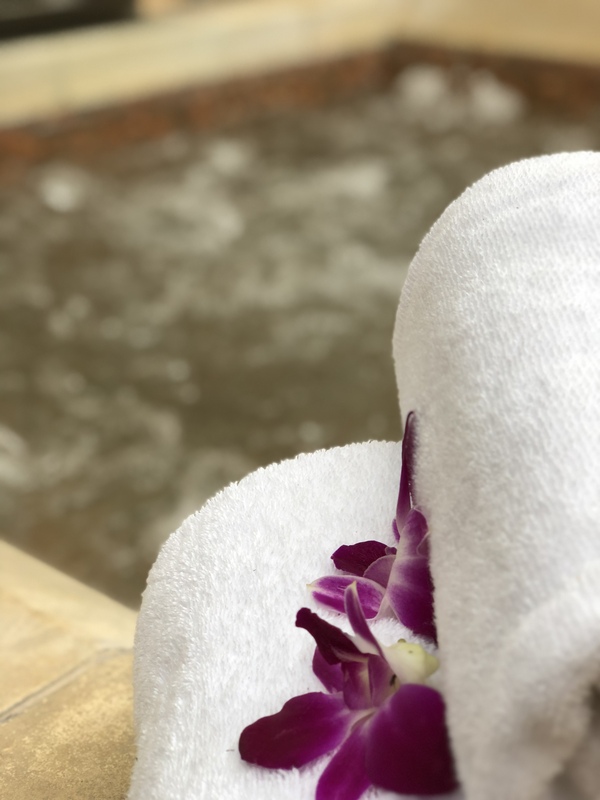 We can’t think of a better way to melt any stress and relax sore muscles after all that walking and standing at Disney than a few hours at the spa! Massages, couple’s massages, facials, hydrotherapy, body wraps, nail services and so much more are available at the Spas at Walt Disney World. You can find these services at La Vida Salon at Disney’s Coronado Springs Resort, Ship Shape Massage Salon at Disney’s Yacht Club Resort and Disney’s Beach Club Resort, Senses – A Disney Spa at Disney’s Grand Floridian Resort and Senses – A Disney Spa at Disney’s Saratoga Springs Resort. Select services are even available for children ages 4 to 12. Disney resorts have some terrific pools! Some are gigantic, like the Big Blue Pool at Disney’s Art of Animation. Some have incredible water slides, like at Disney’s Yacht Club Resort and Disney’s Beach Club Resort. As a general “rule of thumb,” moderate and deluxe level resorts will have water slides and other water play features, but all resort hotels have large pools that you don’t want to miss out on. Most offer a “quiet pool” with less kid-friendly features, which tend to be a little more calm an quiet. Whichever style you prefer, make sure to schedule a day or at least a few hours enjoying your resort pool and amenities. Pool bars offer great food and snacks, and of course, beverages! Need a haircut? Full color? Maybe some highlights? The full-service salons at Walt Disney World can take care of these services for you! You can also get your hair and makeup done or nail services for a date night at Walt Disney World. Salon services are available at La Vida Salon at Disney’s Coronado Springs Resort, Ship Shape Massage Salon at Disney’s Yacht Club Resort and Disney’s Beach Club Resort and the Ivy Trellis Salon at Disney’s Grand Floridian Resort & Spa. 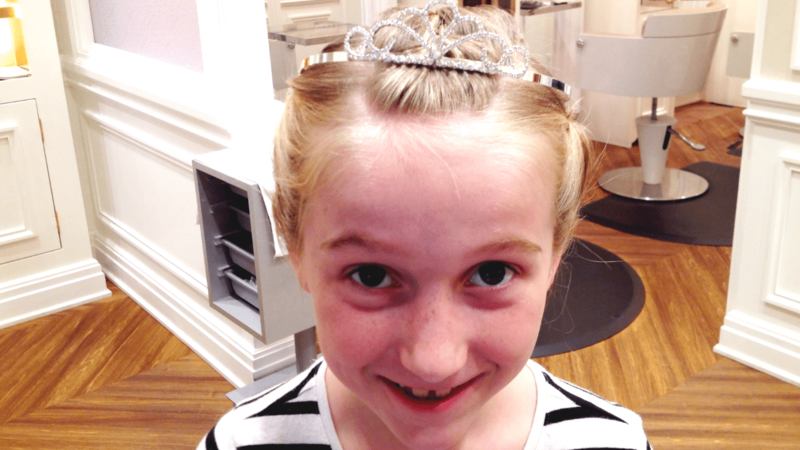 Tip: These salons also offer Character Couture Packages with an array of regal makeovers designed for Guests of all ages. 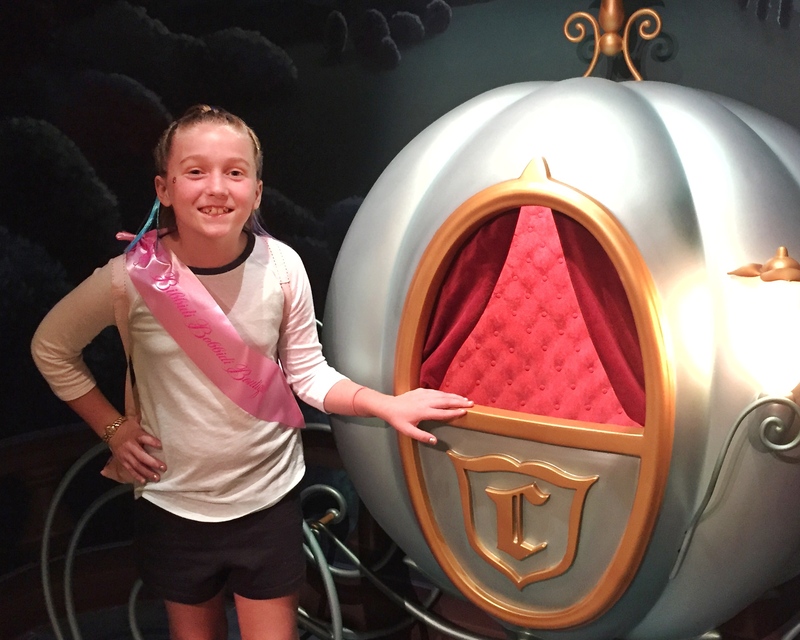 They are a great alternative to the Bibbidi Bobbidi Boutique since the packages are less expensive and appointments are a bit easier to come by. The Barber Spa at Art of Shaving at Disney Springs has Master Barbers who are expertly trained to provide a range of men’s services that are sure to leave you well-groomed and relaxed. Shaves start with a hot towel, a protective shave oil and hot shaving cream. Next comes a traditional straight razor shave followed by essential oils and aftershave. In addition to shaves, they also offer beard and moustache trims, head shaves, haircuts and more. It’s the perfect indulgent grooming experience in a masculine and luxurious environment. Brunch is growing in popularity and many Walt Disney World restaurants now offer incredible brunches! A very popular (and very fancy) brunch is ‘Brunch at the Top’ at California Grill at Disney’s Contemporary Resort. With a bird’s-eye view of Magic Kingdom Park, Epcot and Disney’s resort hotels, this Sunday brunch offering opens the beautiful restaurant for daytime dining for the first time ever. Brunch at the Top has everything from charcuterie, sushi, market-inspired salads, house-made breakfast pastries, pan-Fried Buttermilk Organic Chicken Cutlet, Sweet Potato Pancakes, Custard, Frittata, Steak, mini desserts, truffles and so much more. It’s quite an experience! Many restaurants offer mid-morning brunch menus, but here are a hew highlights: Chef Art Smith’s Homecomin’ at Disney Springs (southern-style Rise ’n Shine Brunch every Sunday); The Rollicking Raglan Brunch at Raglan Road (Irish-inspired fare offered Saturdays and Sundays); and Trail’s End Restaurant at Disney’s Fort Wilderness Resort and Campground (WANTED: A Bountiful Brunch every Saturday and Sunday). Now, you might be thinking, “these all sound great, but what about the kids?” Well, Disney has you covered there, too! There are a couple of options for childcare and your resort front desk or concierge can help you arrange any of these. Kids ages 3-12 can be dropped off at the Children’s Activity Centers, which are delightfully themed, supervised play spaces. Here kids can watch movies, play games, draw, dine and make new friends. These centers are Simba’s Cubhouse at Disney’s Animal Kingdom Lodge; Sandcastle Club at Disney Beach Club Resort; Lilo’s Playhouse at Disney’s Polynesian Village Resort and Camp Dolphin at Walt Disney World Dolphin Hotel. Reservations are recommended (required at Camp Dolphin). Rates vary by location, but dinner is included at all of them. For younger kids or those who might not like the group childcare setting, in-room babysitting is also available. Professional caregivers from Disney’s childcare partner Kids Night Out come to your resort room and offer arts and crafts, reading and playing games and more fun-filled activities for children 6 months to 12 years old. Lastly, there is a new children’s even at Disney’s Contemporary Resort, The Pixar Play Zone. This nightly offering runs 6-10:30pm and gives kids the chance to a Pixar-Packed evening of fun, games and character experiences along with dinner and dessert! 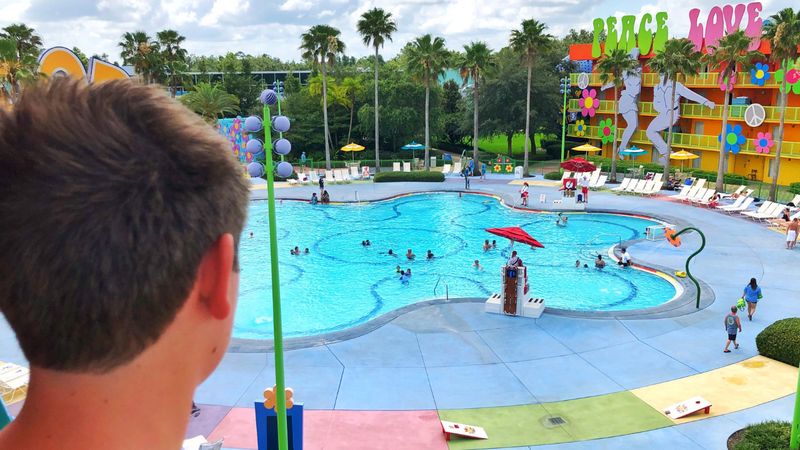 Once the kids are all set up, you can relax with a day date in the parks, a night out with a great meal, a drink by the pool, or even just a nap! If you aren’t interested in any of these relaxing activities and you take away nothing else, please remember this – It’s impossible to do it all at WDW! We are locals and come to Disney ALL THE TIME and yet there are still things we haven’t done yet. Disney is constantly changing and adding new things, so there is always a reason to come back again and again. And we are pretty sure that once you visit, you’ll love it and you will definitely want to come back. So, don’t try to do it all. Save some things for “next time” and you’ll have a much calmer and much more relaxing visit. What do you think? 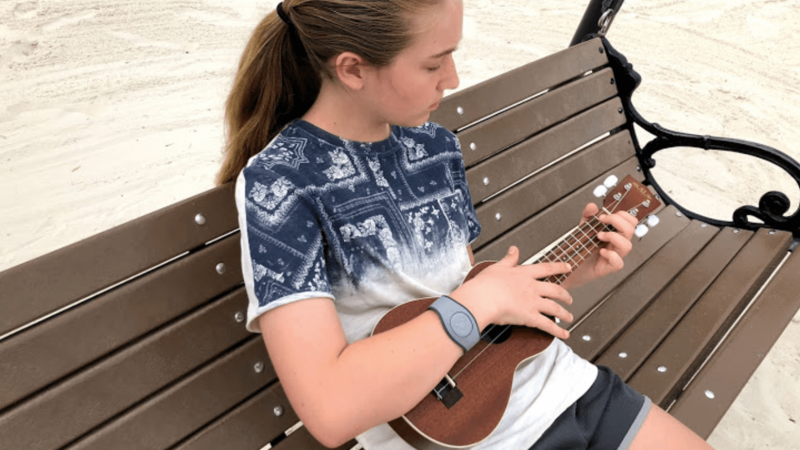 Do these sound like good ways to relax at Walt Disney World?